We all go through challenges in our journey of life. We have to go through them, overcoming them makes us stronger and more capable – in all aspects of life, health, career, relationships and beliefs. We sometimes, believe as if we have to qualify for happiness, meaning we wait for things to improve before we can be happy. The journey will be difficult if you’re seeking for more, it’s part and parcel of life. 1. Re-assess your goals – what do you exactly want for yourself? Dream big and set out to achieve whatever it is you desire. Have short term, realistic goals. Create a to do list in the morning and do all that you can in 24 hrs. 2. Be grateful! I have a rock that I keep with me every day. Whenever I hold it, I remind myself for the things I am grateful for. We have so many things in our lives to appreciate and give love for. First thing in the morning, be grateful to be alive for another day. Each day is a gift. 3. Give yourself a break – do the things that you love and use the time that you have well. Do whatever you need to bring clarity to your mind. 4. Make today better than yesterday. The past is gone, be present and strive to be a better version of yourself each day. We all stumble, but believe that everything will work out as long as you continue to learn & act. You already have all that you need. With 2019 soon approaching and with a lot of big changes happening in my life, I feel like this is the right time to reflect on the year. I’ve come to realise that when life moves so fast, we rarely take a moment to slow down and be at one with our thoughts. Self-reflection is so important as it helps create self-awareness, develop a positive mindset and discover a greater connection to oneself. As I’m getting older, my responsibilities, aspirations and needs are continuing to increase and that’s why I wanted to share how meditation has helped me navigate through life that little bit easier. Meditation is not a religious practise – it can be defined as a technique intended to encourage a heightened state of awareness and focused attention. To me it is simply conscious breathing. It is an automatic function for our bodies to breathe for us, so when you attend to your breathing, it brings you immediately to the present moment. We have so many thoughts a day, the majority being negative and repetitive that serve no purpose to our lives, and it is impossible to hold onto tension or have your mind elsewhere, when you are 100% focused on your breath. Pause for a moment, and take in 5 deep breaths. First, breathe in all that is positive and feel your stomach inflate with oxygen, hold that breath for a couple of moments and then slowly exhale, allowing all that is negative to leave your body. This is one of the simplest forms of meditation. It can be done anywhere, anytime and it costs us nothing! Just like we make time to shower to clean our body, meditation is cleansing of the mind. – Increases willpower and decision making. – Increases serotonin levels, influencing mood and peace of mind. – Increases compassion for life and others. – Increases strength and mental power. – Decreases stress, anxiety and muscle tension. – Harmonizes mind, body and soul. Meditation has helped transformed my life mentally, physically, emotionally and spiritually. It helps remind me of my core values, clarify my mind to see the bigger picture and ease stress. However, just like anything it must become a habit for it to be most effective. Consciously breathing for just 5 minutes a day for the rest of November can help be the first stepping stone to a calmer, more focused approach to life in the New Year. It is only when you are in the present moment that you are able to let go of your attachments to the future or constant worries of the past. I’m all for starting a fresh new year, clearing my mind and dreaming big but starting from now will be a huge help to set you up, as I can fully understand how overwhelming it can be to make so many changes all at once. Give it a go, you won’t regret it! 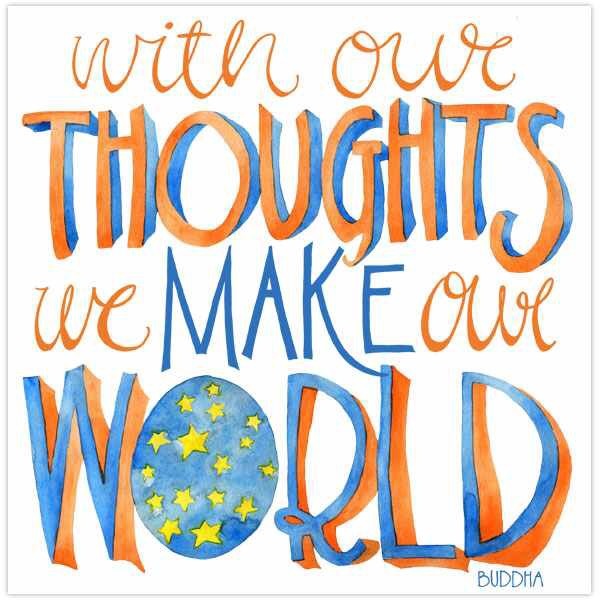 We are our thoughts. We all have that negative inner voice that stops us from being positive. Notice how much our negative thoughts consume our mind. Staying positive is so important! Positivity attracts more positive energy into your life but staying positive can be a constant battle in today’s world, even for me. The things you think most about are the things that you will become and receive in your life. We can rewire our brain the more we repeat something – so make positivity a habit. 2. Start your day in a positive way – we wake up in the morning to a new day with new opportunities. So why not wake up a bit earlier, take a longer shower, eat breakfast and do something positive such as reading a book, listening to music or exercising! There’s no doubt that technology is amazing. I mean we wouldn’t be on here if it were not! Technology recently has had such a huge presence in our lives, we find it so difficult to detach from it. 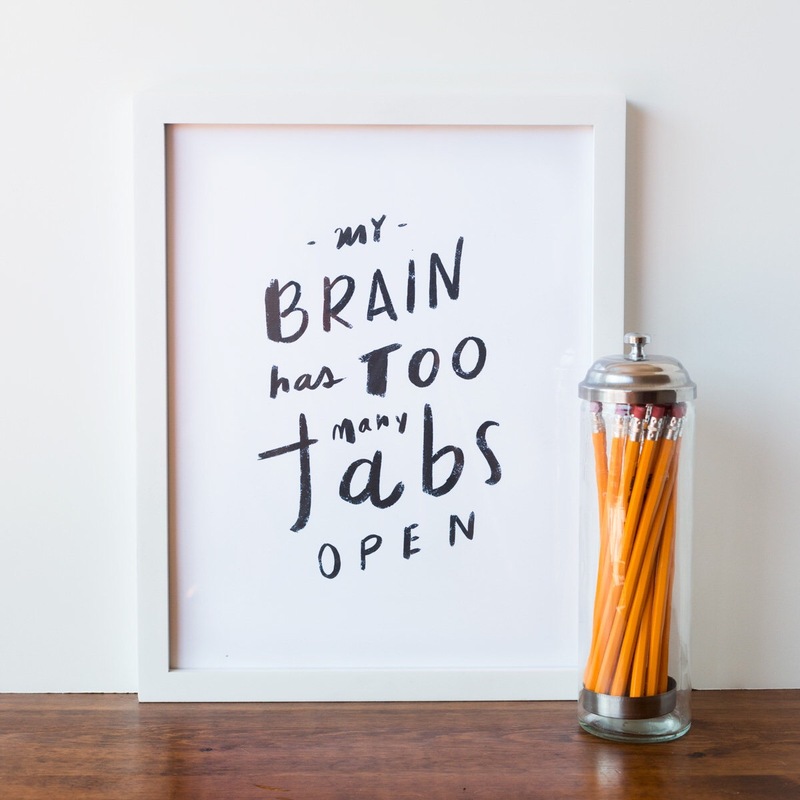 I’ve found that it can decrease our productivity, being constantly plugged in can affect sleep patterns & the mind. Think about how much more you could accomplish in the time you spend refreshing Instagram or Snapchat. It allows us to tap into ourselves more and exceed our potential. Sometimes we need to disconnect from technology and be present. I admit, sometimes I am an addict of my phone, simply because it is that good. We regularly need a detox from technology. Our lives can become so hectic surrounded by our devices, our minds get distracted and stress levels increase. 3. Next time you’re out with family/friends for dinner – have everyone put their phones in the middle of the table. Whoever grabs their phone first pays for the bill! Overall, disconnecting can help you to reconnect, it’ll help you find focus and live in the moment!